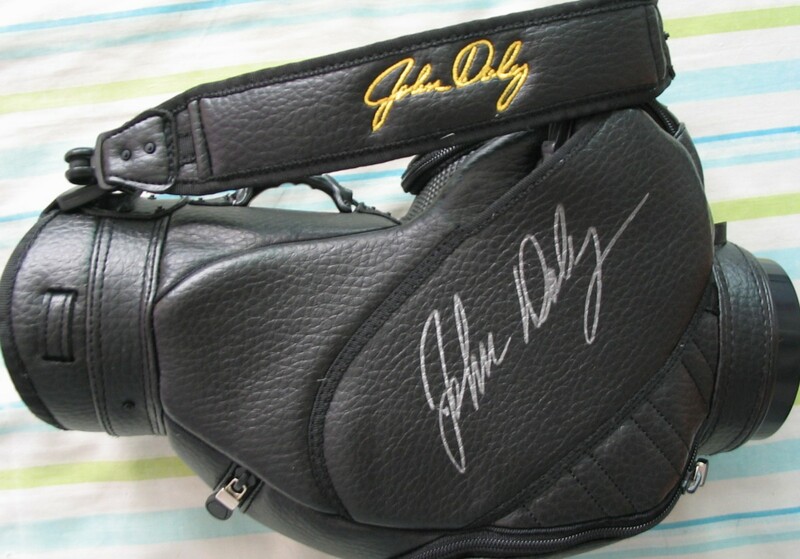 Miniature John Daly golf club bag (about 12 inches tall, exact to every detail using the same materials as his real bag), autographed by Daly in silver paint in three different places: on the back under the logo, and on both sides. Obtained in person at promotional signing, with certificate of authenticity from AutographsForSale.com. ONLY ONE AVAILABLE FOR SALE.